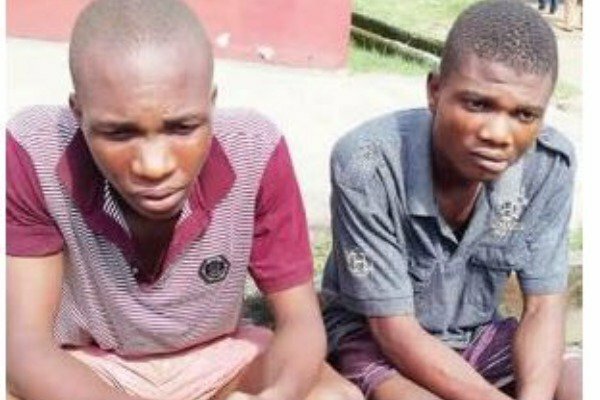 Two students of the Department of Public Administration, University of Calabar have been arrested by police operatives in the state for impersonation and defrauding unsuspecting public through fake army recruitment. The suspects, 22-year-old Daniel Onuta and Emmanuel Mba, 20 were arrested on Thursday, October 26 following tip-off. The state Commissioner of Police, Mr Hafiz Inuwa said the suspects had been impersonating military officers on their Facebook page which they used in defrauding their victims. He said the suspects defrauded one Reuben Bartholomew the sum of N400, 000. Inuwa also said the suspects would be charged to court after investigation was concluded.